Mary Walk was born and raised in the City of Chester and is a graduate of the former Notre Dame High School in Moylan, Rose Valley. Mary received her B.A. in English from Rutgers University where she graduated with Highest Honors and was elected to Phi Beta Kappa. In 1999, she received her law degree from Temple University's Beasley School of Law where she served on the Temple Law Review. 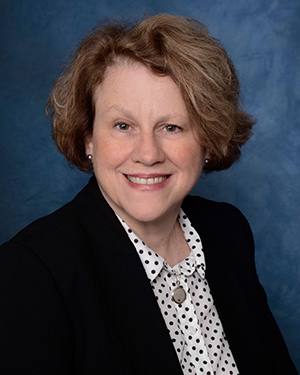 Mary has practiced commercial litigation for over 18 years and has served as both an arbitrator and a mediator. She is admitted to practice in state and federal court in Pennsylvania and New Jersey, including the Eastern and Middle Districts of Pennsylvania, the United States Court of Appeals for the Third Circuit, and the Supreme Court of the United States. Mary is currently a member of Swarthmore Borough Council. Previously, Mary served for five years on the Swarthmore Zoning Hearing Board, serving as Board Chair in her last year. Mary has lived in Swarthmore for 22 years with her husband David. She and David are the proud parents of three children, John, Richard and Elizabeth.